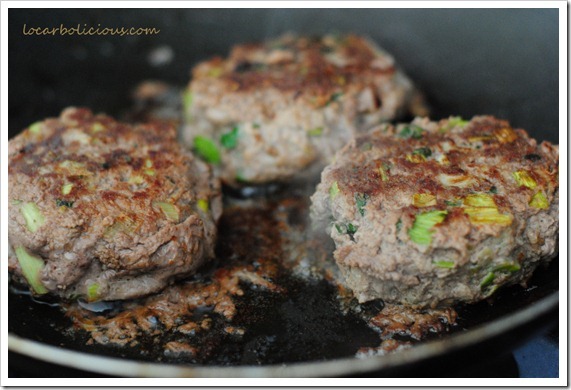 I love adding some vegetables to my burgers – it makes me eat more vegetables and adds great taste to the burgers! 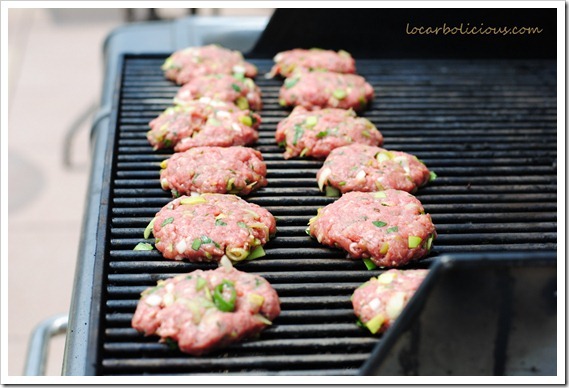 These are so simple to make as well regardless of whether you even have a grill. I often just pan fry them. They also store well in the fridge so I often cook a bunch of them and store them in the fridge. 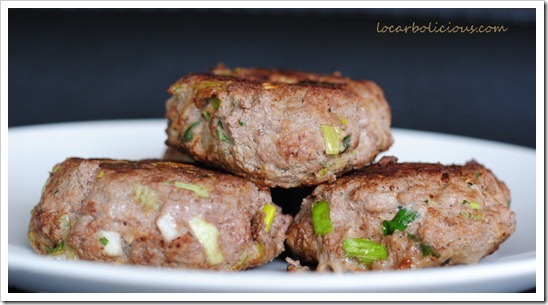 You can add in all sorts of vegetables into the patties – this time I added some leeks and parsley. I also added some salt and pepper and eggs to make the meat stick to the veggies well. 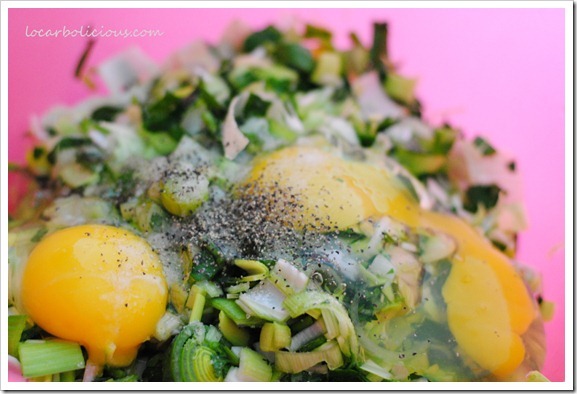 Ingredients: For 3lbs of meat, I used 2 leeks, a handful of parsley, and 3 eggs. 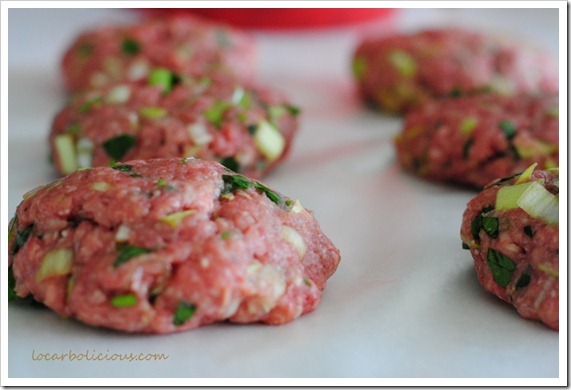 Directions: Mix everything together well and form the meat patties. 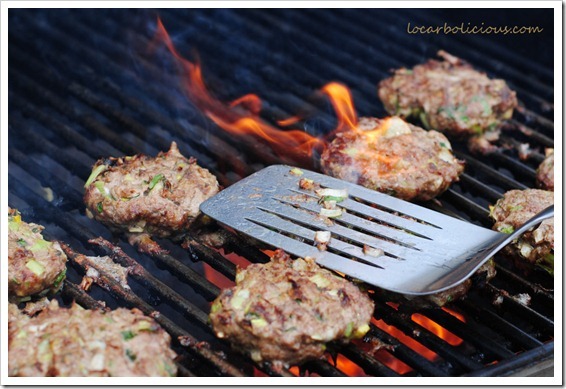 Then simply grill or pan fry in some coconut oil. It’s that simple!